enrollment in the National Identity Database starting from the 30 March 2019.
enrollment of all Nigerians in into the National Identity Database. official designated locations for the biometric data capture. qualified citizens and legal residents. through the pre-enrolment exercise are international privacy laws compliant. AWARD winning MC and former Silverbirds Production executive Doyin Ola will be organising a classy gala dinner in the UK on Friday June 7 at the Marriot Hotel in Bexleyheath. Themed Unveiling the Face Behind the Mask, the event which starts at 5pm and ends at 1am, will feature a Champagne cocktail reception and a sumptuous dinner. It will also include comedy, an American auction, a raffle draw, live entertainment, a question and answer session and presentations on the subject of depression. According to Ms Ola, it will be a spectacular gathering of community leaders, events and entertainment professionals and business moguls, with the aim of getting the Nigerian diaspora in the UK to speak with one voice. Ms Ola said; I have decided to call it Doyens Industry Night because it will pull together all the doyens of the Nigerian community in the UK. We will have fun and enjoy ourselves but will also brainstorm, addressing some of the serious issues that affect us, including the vexed issue of depression, which has been ignored up until now. She added that tickets can be obtained by ringing either 07449 844081, 07538 622 122 or 07943 823 292. Ms Ola, a veteran of many such events including the Nigerian Direct Diaspora Investment Summit, Uncelebrated Nigerians Awards UK and the Silverbirds Production Nigerian beauty pageant, added that she is expecting a full house on the night. Rev. 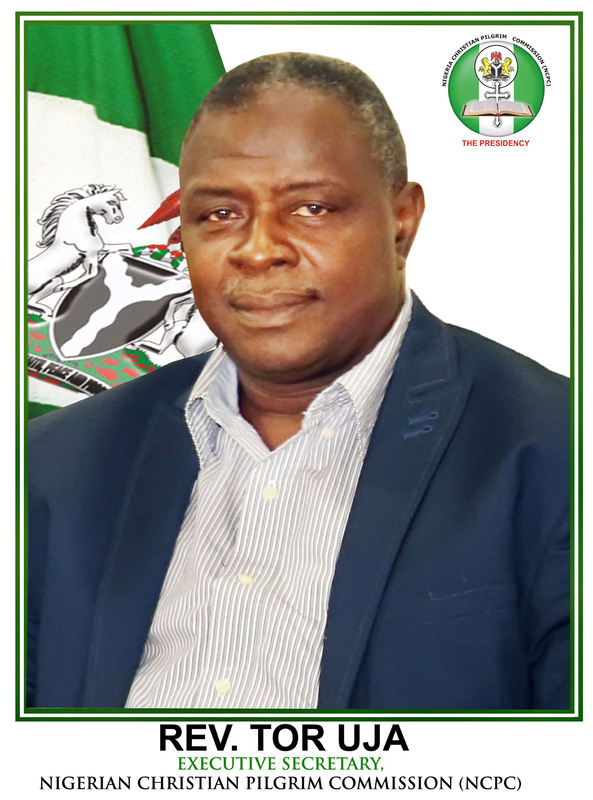 Tor Uja, the Executive Secretary, Nigeria Christians Pilgrims Commission (NCPC), while addressing the media in Abuja has revealed that the Commission’s major project towards assisting pilgrimage projects in the country is ready for take off. He was speaking during a prayer dedication of the land, proposed building to serve their God, launching and ground preparation of the complex site at the Central Business District Area in Abuja. The beautiful site of land is situated between the Shehu Shagari Expressway to the Federal Secretariat and the Akwa- Ibom State House measuring 60 by 80 meters, and will need reclaiming part of the land back from sewage. He went on the thanked the Federal government for their supports and that the complex will generate funds and other sponsors to build a Pilgrims’ Preparative Ground. Speaking: “We want a situation where leaders and all pilgrims can come to this place and find better understanding of Christianity and all the things that we do and of the development processes that this nation must go through to become what God has destined it to be. “We believe this dream because we know that God has a big project to accomplish with Nigeria and the beginning point of any process that would rule the world is the spiritual and the spiritual ones will possess their possession in Christ Jesus. “We want that in our pilgrimage programme, Nigeria would be a focus. That’s why our creed is proclaiming Christ, serving Nigeria. “We believe that the few people that go on pilgrimage are enough army to fight the battles of democracy of this country and to project the advancement of the gospel in this generation and this is the reason we are here”. “We have come together to stand as a team to make pronouncement and dedicate the ground and to also announce that in two years’ time, this project will not only be completed but it will be occupied”. “We know that we are not going to depend only on the government for this project. “We are generating funds from Christian leaders, churches, Christian business men and those who believe in the vision of eternity and what pilgrimage can accomplish for this nation. We believe we shall receive donations of money, materials of goodwill and even of ideas and what we have put on paper we believe is achievable in two years’ time. “This is a camp that belongs to all Christians irrespective of denomination, location and affiliation. There would be no discrimination. We have set up plans to tackle and cancel denominational barriers, eliminate doctrinal separation and put aside tribal or regional issues and Christ alone will be the instrument so, it belongs to all Christians of all denominations and to be managed by NCPC for all Christians across the country. “Any Christian group or church can make use of the facility and it would be free for everyone but in the cause of doing the work, we would be bringing together denominational leaders, church groups, spiritual leaders to interact and sit together to build bounds of fellowship and remove barriers that have separated the people for so long. “We believe that in a very short while, we will come here for the ground breaking when we would be laying the foundation stone and in two years’ time, we shall come back to dedicate this project to the Glory of God”, he added. On the Easter 2019 pilgrimage, the Executive Secretary added the process will commence as scheduled on the 15th of April and running in phases. He advice all willing to attend to start early preparation by registering, paying and having their medical checkup. He was happy with the recognition by the Israeli government and mentioned, “the government of Israel has given us a double commendation in effective organisation, absconding containment, and financial management of all that matters”. The gathering of the faithfuls during the prayer session was attended by delegates from the 36 states of the federation and Abuja including all Christian pilgrimage leaders and board members from the six geo-political zones. The Federal Government had already released the sum of N559 million in the 2018 budget in which the Executive Secretary thanked and appreciated. As well as the mentioned the facility will be use to prepare for Christian pilgrimage and exposes Nigeria’s best to the world.